There's something rising around this address, has this project started? 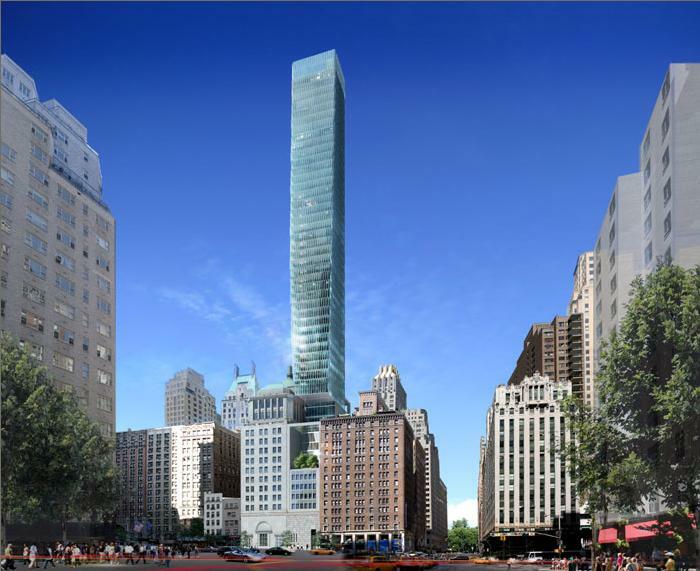 That ^ is the new Hilton Club project on the south side of West 57th, yes? Why is there such a huge, ugly gap between this new building and the white brick building to its right? Is the current state architecture in this city that atrociously inept and bad? Yeah its on the south side. On the other side there's a huge empty spot opposite Carnegie Hall & Metropolitan Tower. When this garbage is being called a "masterpiece," yes, it is that bad. Prison time is needed for something like that. My guess would be that the gap is due to a service alley on the property of the white brick building; such alleys which were often included in apartment buildings pre-1960. Can't imagine in this day and age that such space would not be built upon. I heard that the delay is accounted for the fact that the Carillon Hotel that will build on this site recently acquired the adjacent Steinway masterpiece and is configuring how to add that old gem to the project. Cuozzo is despicable. This guy is a total jerk with the way he frames things by his choice of words. In the same article, he calls the Boston Properties project a masterpiece. This guy is a complete mental case. I agree. He and Weiss (also psycho) are part of the "Axis of Evil" (i.e., Macklowe, Solow, Zuckerman, Moinian and Chang). Alright! This one is recently posted on 3D-Win, will this be what is getting built now? The glass is rising on the Hilton time share across the street. Last edited by londonlawyer; March 3rd, 2008 at 04:18 PM.